Lets Start by spring cleaning your make-up bag, drawer or bathroom cupboard...If you have any of the below items older than what the list recommends then de clutter and toss them in the bin....as it has no place in your beauty life....But how do you know, how long a product is good for, if there is no expiry date on the item? Strawberries have always been my "Best" for as long as I can remember. Here are some interesting facts about the little red sensual heart shaped bud. 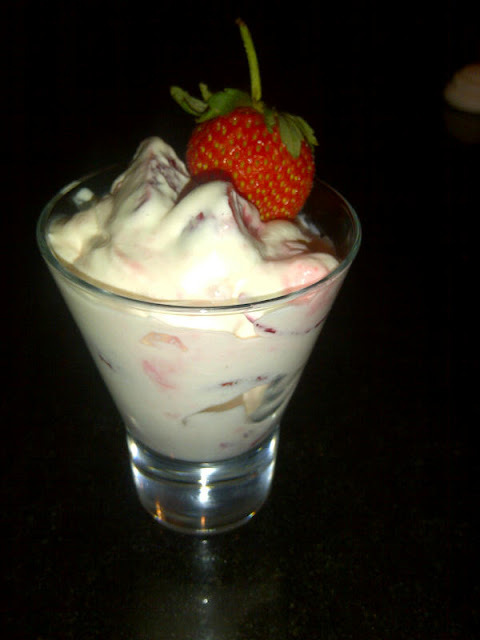 Strawberries are a great source of Vitamin C, folic acid and fibre. 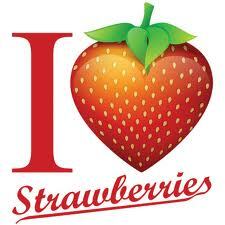 They are low in calories and Fat Free.. Just 8 strawberries provide 160% of the vitamin C you need for a whole day! They are also full of flavonoids, which form part of the strawberry's red colour and are known to help reduce cholesterol ! 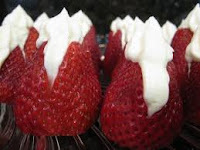 The strawberry is not classified by botanists as a true berry ! Did you know strawberries can help whiten your teeth? The acids in the fruit help to remove stains ! Strawberries are the only fruit to have their seeds on the outside.Approx 200 ! In a test, subjects who ate nitrate rich foods like strawberries, before exercising burned 100 more calories than those who did not. 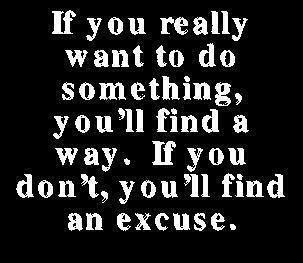 THIS I LIKE! Why do I love Strawberries so much? Am I weird? 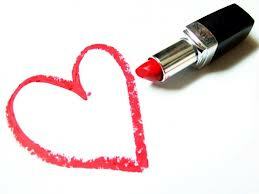 Strawberry Lovers as: "health conscious, fun loving, intelligent and happy." Whilst Non Strawberry eaters were labelled as:"weird, boring, stuffy,picky fussy eaters who avoid healthy foods." By the way....Have you had your 8 Strawberries today? GLOSSYBOX is an online subscription service that has fast become a favourite of beauty addicts worldwide. Take the hassle out of choosing between brands and new makeup products with GLOSSYBOX. With a GLOSSYBOX subscription you’ll also receive samples of the best hair products and the best skin care products for women. Your GLOSSYBOX will contain only the top beauty products from well known luxury brands and up-and-coming niche brands. The beautifully packaged makeup boxes are sure to delight and each box will be received with excitement. Beauty boxes arrive each month delivered to your door and contain expert beauty tips on how to look beautiful with your new cosmetic samples. A GLOSSYBOX also makes an easy and luxurious gift for any beauty lover. See you can find a positive in everything! 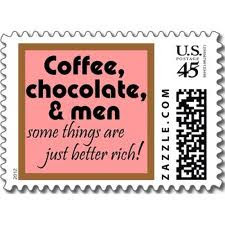 Starbucks Coffee company have more than 17,000 stores in 55 countries and they are the premier roaster and retailer of specialty coffee in the world, so perhaps I am asking too much of a coffee company to produce a good Hot Chocolate. 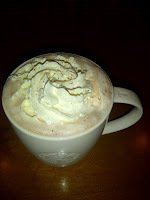 Mmmm...I cannot say that I have ever really enjoyed a Starbucks Hot Chocolate whether it be in New York or more recently on a cold, rainy, summer's day in the UK. Every time I travel overseas I always make a bee line for a Starbucks hoping that the Hot Choc has improved, but it always seems to disappoint.....It looks delish with a nice creamy top, but the actual Hot Choc is too watery and it just doesn't hit the spot for me. However I do know that their coffee range has a huge following around the world ,except in South Africa where the Starbucks invasion has not yet happened! But guess what, you don't have to wait for the franchise to hit SA as its as close as your nearest Checkers Hyper store. Look what I saw at the Gateway branch today! 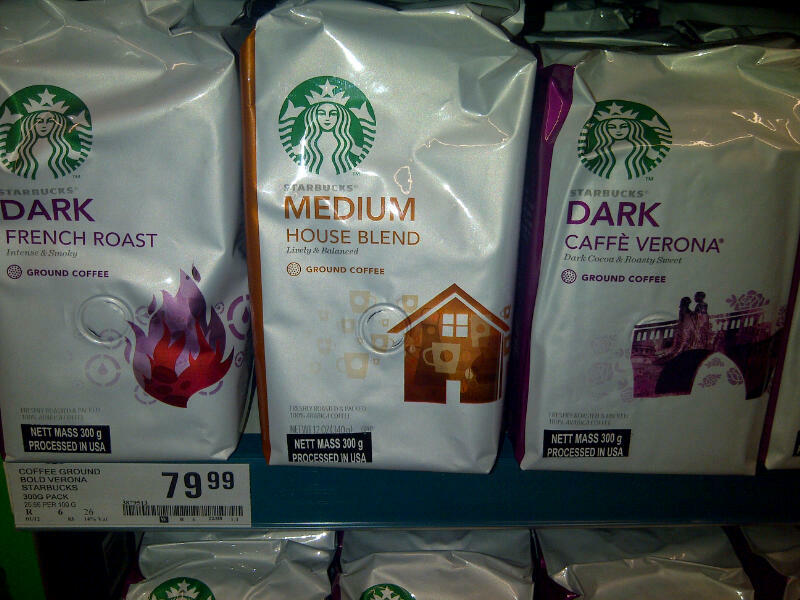 Starbucks have over 50 different types of roast coffee blends and Checkers have three of their ground coffees..."not many" you may say...but hang on, its a start and at R79.99 for a 300gr bag, its cheaper than an air ticket overseas to get that Starbucks coffee fix. Facial Cleansing is a part of our daily hygiene routine whether its using a bar of supermarket soap in the shower or sitting at your dressing table and using the most expensive cleansing milk..it has to be done twice a day so as to remove the daily dirt,grime and the pollutants from the surface of the skin. I'm definitely not an advocate of using just "any old soap on your skin" unless you want to end up with "any old skin"...so if your budget only allows for an inexpensive soap then try and choose a facial soap rather than a general all purpose bath soap. There are so many different types of cleansers out there to choose from, so how do you know which one is right for you? 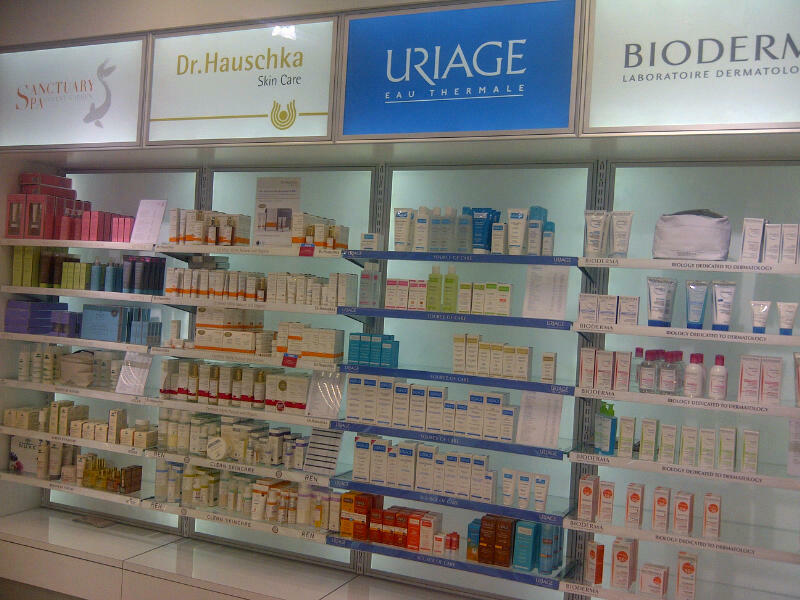 Firstly you need to establish what skin type you have and if you don't already know then pop along to cosmetic counter in a department store or ask the beauty consultant in a pharmacy. A good consultant will not only ask you lots of questions about your present beauty regime but she will also, unbeknown to you visually analysing your skin as you talk. Only then, can she advise on the appropriate cleanser, that will not only be the most suitable for your skin type but one that will also suit your lifestyle.Remember that your skin type or condition could alter with the change of seasons,medication and age! This will require you to have regular skin assessments. 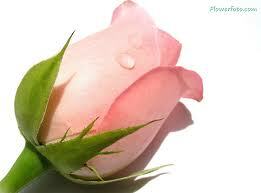 Facial Cleansing Soaps: are ideal if you love that fresh feeling of soap and water on your skin. Specific Facial soaps should have the same ph as skin 5.5, so as not to disturb the acid mantle of the skin. Dry or very dry skins will require a Moisturising Cleansing soap. Cleansing Foams or Facial Washes: are popular as they are quick, clean and easy to use.They are generally recommended for combination to oily skins but many houses now have specialised washes for dry to very dry skins. Cleansing Milks or Cleansing Creams: are more suited to dry,very dry or dehydrated skins.They can be water soluble and can be rinsed off the skin or can be removed with dampened cotton wool or a soft facial tissue. If you wear make-up then you will need to possibly do a double cleanse in order to remove all the make-up which the first cleanse will do and then the second cleansing will ensure that all the make-up is removed and the skin is squeaky clean. This double cleansing also allows you to use a combination of the above types of cleansing products. Please... when you get the urge to rub your wrists together when you have sprayed your fragrance..Don't! I think this action stems from some belief that if you give your fragrance a "good old" rub it warms the ingredients and helps it to develop. Well! let me tell you, all it will do is destroy and breakdown the molecular structure of the fragrance and it will alter the smell. Try this little test...spray your Perfume or your Eau De Toilette on the one wrist and do not rub and on your other wrist, spray and rub with your finger...only smell both wrists after a couple of minutes and you will find that both will smell completely different. I can assure you, the true fragrance that the creators intended for you to enjoy will be the non rubbed wrist..
Maybe I should give you some background into my alcoholic history...No! I am not a member of AA in fact far from it....for most of my "50 something" years I never drank the stuff. My husband always said that one of my many attractions....lol.. was the fact I was cheap to take out on a date, two Cokes lasted me the whole evening. Yes Coke! 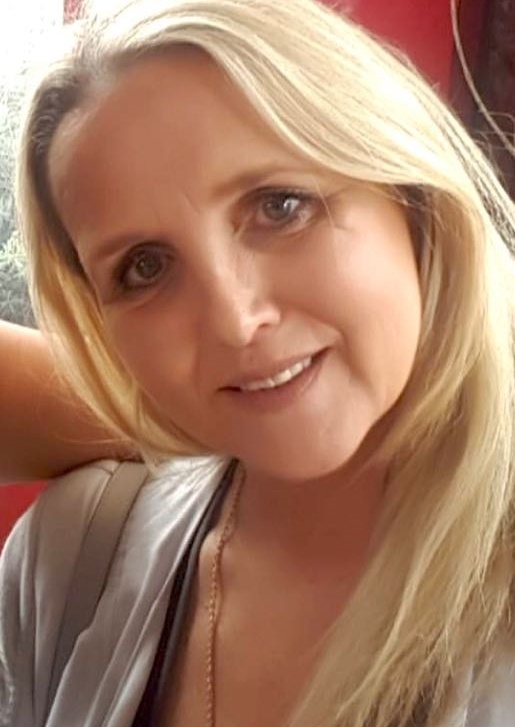 and I used to drink litres of the sugar laden beverage in my youth...I then made the difficult transition from being a Coke addict to become a TAB aholic (the Caffeine and sugar free version of Coke) and I have never looked back, I am now a convert and have stayed with the TAB programme. Over the years I have found various tipples that I have enjoyed, but for some strange reason I seem to choose drinks that other people do not enjoy and hence they become extinct..discontinued....history...gone! Many years ago there was a bottled version of Bucks Fizz manufactured by Tiffany's ...It was a Sparkling white wine and orange juice mixture. For a couple of years it was my tipple of choice but guess what? they took it off the market, much to my annoyance...Imagine for years you are unable to find a drink you like,then hey presto you find THE DRINK and then its taken from you, just like that, with no replacement....it was traumatic at the time...I remember it well! So again several alcohol free years passed and then up popped the Bacardi Breezer range...yeah! 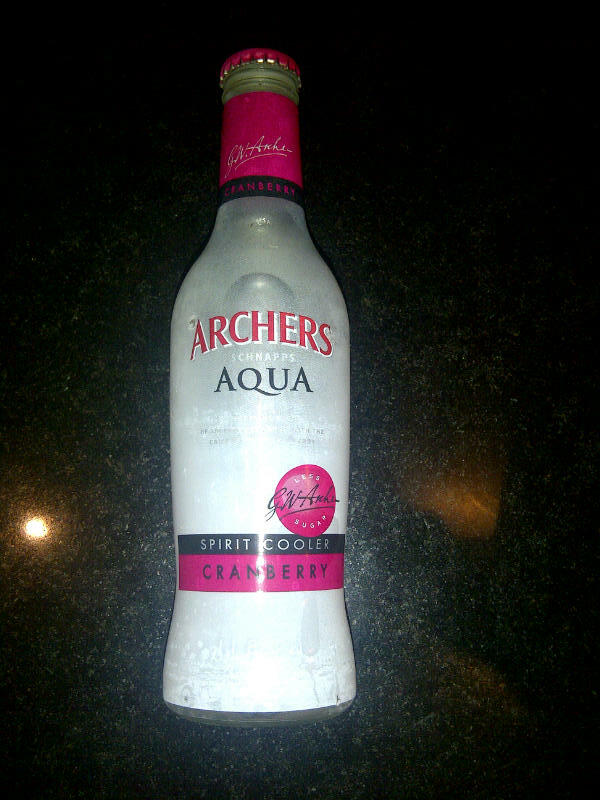 I really liked the Cranberry flavoured one....I was back on the drinking scene. Then it happened to me again, they withdrew the Cranberry flavoured option....oh no! You may by now be wondering why didn't I just move over to the watermelon version or one of the other flavours Bacardi Breezers came in, well it wasn't that easy. I did try them all, but I just didn't like any of them...."difficult" I hear you say..well! Yes I am, as it has to be "love at first taste". Another alcohol free year went by and then a friend came to my rescue and introduced me to Archers Aqua Cranberry.That was a few years ago and to date the Cranberry flavour is still around....thank goodness. Ok back to my CnC alcoholic find....its from Woolworths and guess what? its the return of my Tiffany's Bucks Fizz well not quite, as its the Woolworths brand. 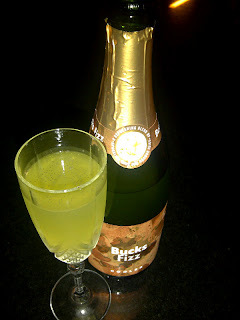 The Bucks Fizz cooler is 6% alcohol and the price when I first started to buy, was R29.95 and for several months its been available for R26.95 so this definitely qualifies as a Cheep n Cheerful, but for how long who knows? It really is a refreshing drink and great for those summer Champagne breakfasts. However I have noticed that several WW food halls, that did stock it, now are not. 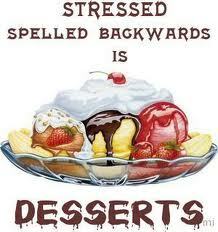 Hence my "distinct" concern.... If another drink "bites the dust" I suppose I could always just buy the champagne and the OJ and mix my own.....sounds like too much bother! If that doesn't work... then I will have just depleted my future supply....mmmm..not sure about this one...give me a second to think about it! Oh My Goodness what a big, bright and airy store with wide aisles...yea! It reminded me of a larger "Boots" the chemist in the UK, but much better! 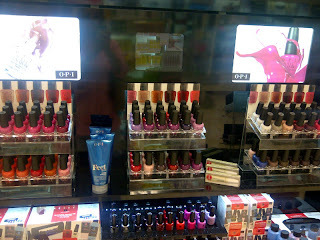 I was also happy to see that they are now stocking the OPI range of nail products, so watch out for Mariah's Limited Edition range of colours which, as reported in one of my previous blogs, will be launched in January 2013....so watch this space. So a big thumbs up to CLICKS and next time, I won't walk on by...I may pop in and buy! 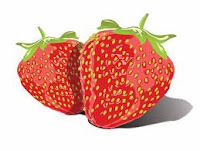 If you haven't already guessed I adore anything strawberry, so you can imagine my delight to find that Woolworth's have savings on their punnets of Strawberries.....yum yum...They have a few different options but an 800gr punnet for R28.99... is great value! I must confess I am no "Domestic Goddess" in the kitchen and even reading and attempting a few recipes from Nigella's Lawson's Domestic Goddess book didn't turn me into one either, so I resort to simple fail proof recipes....no rocket science needed! I am off for a rest now, as there is too much mess in my kitchen! Relatively new to the KZN fast food scene is "Boost Juice bars". I must admit I am a Kauai fan...yes and you guessed it, a "Strawberry Stinger" is always my smoothie of choice, but its great to know we have another "healthy" fast food option out there. Boost Juice Bars is an Australian franchised concept that was founded by Janine Allis in 2000 and there are over 189 bars around the world and the number is increasing.Boost Juice Bars is a healthy alternative to fast food with a range of delicious low fat juices, smoothies, crushes and super snacks. All the products on the menu are at least 98% fat free and the Boost brand refuses to use any artificial colourants,flavours or preservatives in any of their products. 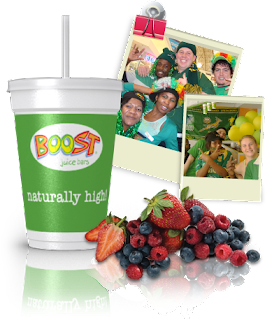 While Boost understands that people nowadays have a very fast paced, stressful lifestyle where many important things (such as healthy eating) are very often compromised due to lack of time, Boost endeavours to solve this problem in the form of healthy juices, smoothies and crushes – a meal in a cup if you will. Customers get the healthy ingredients they require from a meal in less than half the amount of time it takes to prepare. "All Berry Bang", "Strawberry Squeeze" or "Banana Buzz"? It looks like my obsession with strawberries means that the "Strawberry Squeeze" could be my new found addiction! 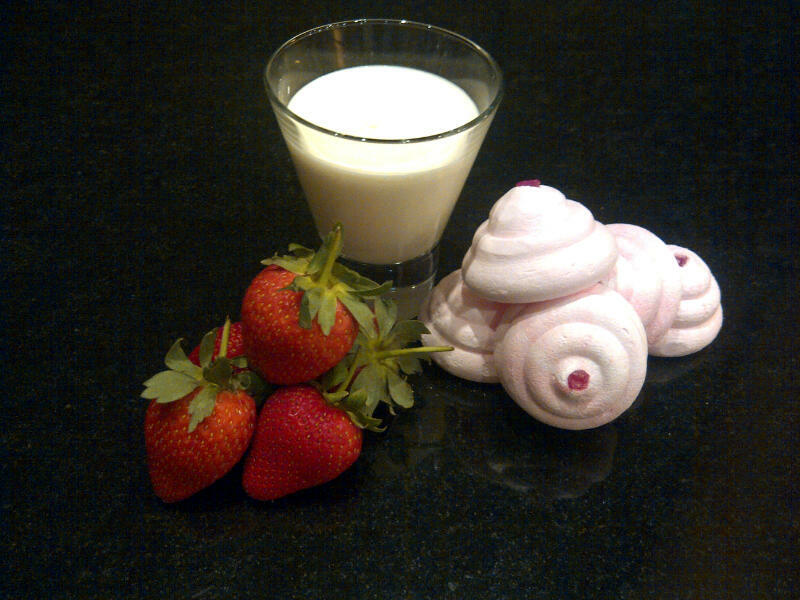 "Strawberry Squeeze" I hear you calling! Rather remove the product from the jar with either a spatula or an ear bud as this will not only control the amount of cream you remove but will reduce the risk of product contamination. Over the years I have seen some weird and wonderful growths lurking inside jars but unfortunately I have no visuals to show...pity! So remember no more digits in the jars! OPI nail lacquers are often the first brand of choice for manicurists and salon professionals. Mariah Carey the Grammy award-winning singer and mother of two has just joined forces for a second time with "OPI" to create a palette of bold colours for her limited-edition line of nail lacquers which will be launched in January 2013.Several others celebs have had this opportunity previously including Serena Williams,Nicky Manaj and Katy Perry. I have always been a lover of painted nails and you will neeeeeever see my little "Tootsie's" naked. I am not very adventurous with colours and often stick to my selection of darker "Pinks" for my toes and pale shades for my finger nails, but what a selection of colours there are out there.Every colour under the sun is available to adorn all types of nails whether real or false! Not only have the selection of colours come a long way over the years but the ease of application and the finish has enabled even the most amateur to create a professional manicured look. So why not treat yourself to a "mani" or a "pedi" today or give yourself a DIY at home.Your feet and hands will most likely thank you for it! I was born in the UK and lived there for 21 years and it was very rare to come across anyone who didn't drink tea or coffee....well that would be the case unless you came across Moi! For 21 years I never drank any hot drinks...strange but true..lol. "Why not" you may ask and my reply would be the same today as it was then...I don't like the taste of either and its as simple as that. I am a self confessed chocoholic yet the last choc in the box could be the coffee cream and there it would stay.. Yes sometimes I may have thought how nice it would be on a cold winters day to hug a big mug of tea or coffee but really it never appealed to me enough to partake in the bean or the leaf.....people often told me it was an acquired taste but I never remember chocolate or SD'S being an acquired taste it was "love" at first taste. I really only started to drink hot chocs when I came to live in SA and even then its a small window of opportunity as the summer temperatures of 30c+ isn't really conducive to hugging a hot drink so its confined to the winter months...After saying this I love the whole concept of Cafe culture and I join in but with a Hot Chocolate.. Thanks to Wikipedia for the below overview of Hot Chocolate. Hot chocolate (also known as hot cocoa) is a heated beverage typically consisting of shaved chocolate, melted chocolate or cocoa powder, heated milk or water, and sugar. Drinking chocolate is similar to hot chocolate, but is made from melted chocolate shavings or paste, rather than a powdered mix that is soluble in water. Also, drinking chocolate usually is not as sweet as hot chocolate. Interesting this is... but my perfect Hot Choc has to be made with hot full cream milk (no skinny's for me) it must be rich,creamy and preferably have some form of separate chocolate to melt into it...Oh! and cream on top or at least a nice thick foam and the choc powder on top to finish it off. “vida e caffè” is Portuguese for “life and coffee”. 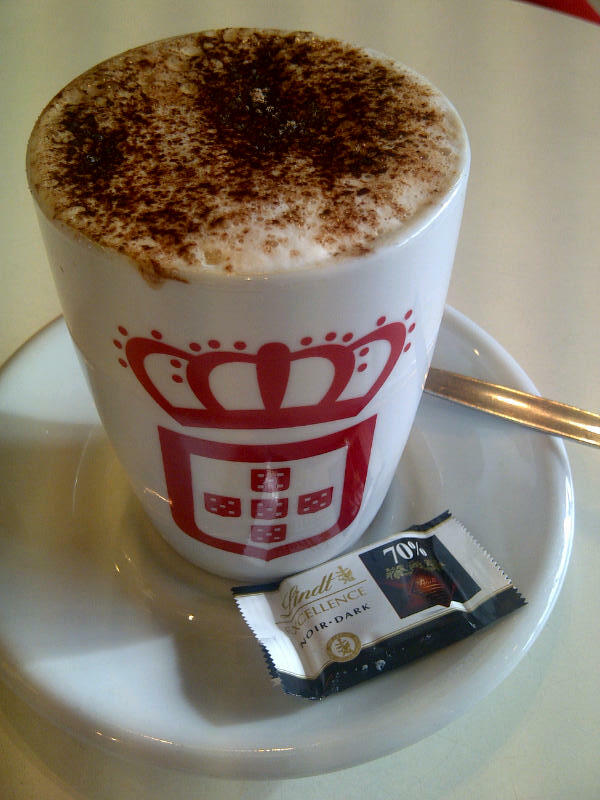 Don't forget to ask for a loyalty card at vida e caffè to accumulate 5% “cash back” in points. That's what you may think I am in regards to this next post....as it's on Canine Beauty! 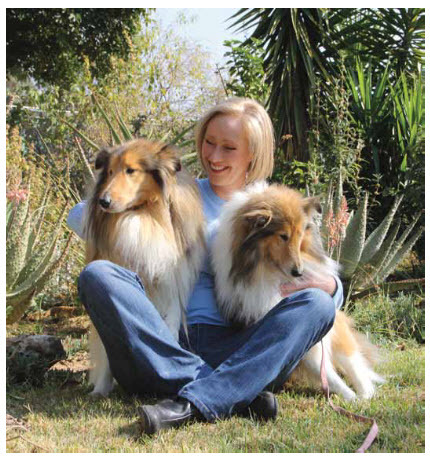 I know this is predominantly a "Human" beauty blog but I could not let this opportunity go by to inform all you dog lovers out there of this brand new doggy grooming range. In conjunction with a top product development house a range of shampoo and conditioning products were created using the latest in natural product technology and ingredients. My pampered pooch Abby, a miniature Dachshund will be experiencing these Pet Spa products very soon and I will give you a report back with specific product info, piccy's and website details....If the wonderful aromas of the essential oils of Neroli, Lavender, Citronella, Bergamot and Palma Rosa that are used in the products are anything to go by, she is in for a real treat... as they smell good enough for humans! Suffering from really dry lips this winter? Then include the lip area in your weekly exfoliation routine.Use your facial scrub over the entire face including the lips.What a difference it makes! No more dry flakes of skin.Don't forget to use a lip treatment several times a day to bring your lips back into a "kissable" condition.. 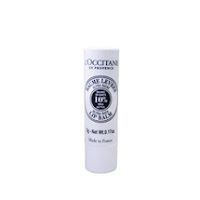 I highly recommend the L'Occitane's Shea Lip Balm @R115 as it contains 10% Shea Butter. It can be used by both the males and females in the family...and lasts for months. Please do not test lipsticks,glosses or lip liners directly onto your lips but rather apply onto the back of the hand or ask the beauty consultant if she has a disposable applicator to use....this is a far more hygienic method of testing. 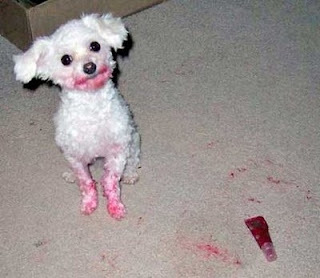 Do you think this shade suits me? That's one of the characteristics of a Sagittarius, after all he is the "Archer" of the Zodiac...and guess what I am a Sagittarius! 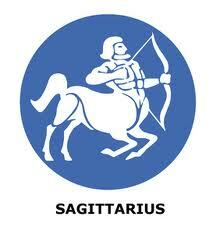 Inquisitive and energetic, the Sagittarius is also the traveller of the Zodiac. Their philosophical, broad-minded approach to life motivates them to wander far and wide in the search for the meaning of life. Extroverted, optimistic, and enthusiastic, it can be almost impossible to keep the Sagittarius down. They love change. In fact, change is essential for this sign to feel their best. Great sense of humour, idealistic, generous, hard working and loyal. Prone to engaging mouth before brain and can be impatient to the point of rudeness. Travel, being outdoors, freedom, philosophy. Dishonesty, being constrained, off-the-wall theories and injustices . SD'S does not stand for Sexual Diseases or Sausage dinners.. it's short for Strawberry Daiquiri which is my favourite Cocktail and for those that know me well, are already aware that I have a passion for them..in fact I would go as far to say it's a Love Affair as its always my first choice of drink wherever and whenever possible! The below explanation is courtesy of Wikipedia..
Daiquiri is a family of cocktails whose main ingredients are rum, lime juice, and sugar or other sweetener. 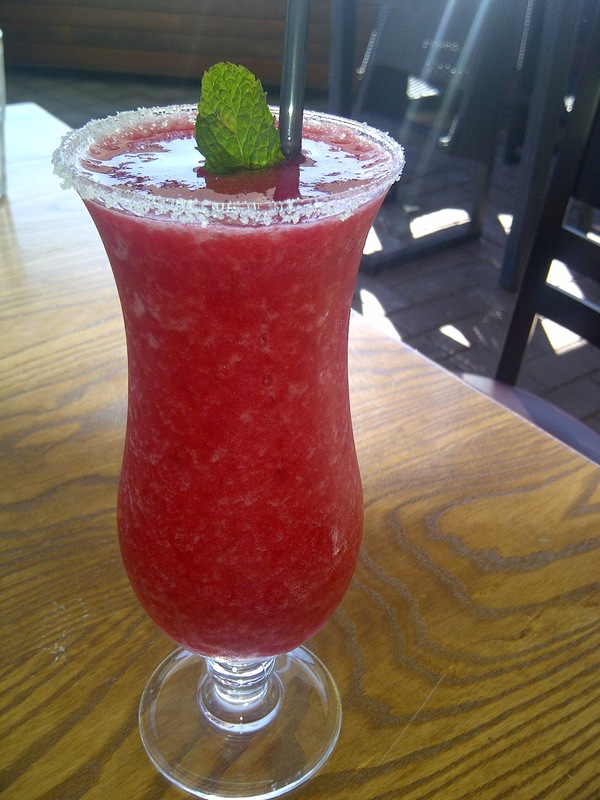 A wide variety of alcoholic mixed drinks made with finely pulverized ice are often called frozen daiquiris. These drinks can also be combined and poured into a blender eliminating the need for manual pulverization. 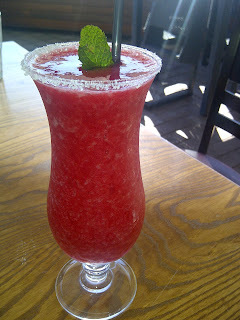 Such drinks are often commercially made in machines which produce a texture similar to a smoothie, and come in a wide variety of flavors made with various alcohol or liquors. Try spraying your little darlings artwork with hairspray to stop the paint flaking and making a mess! MUST HAVE "ANTI AGEING BEAUTY BIBLE"
Health and beauty experts Josephine Fairley and Sarah Stacey bring together everything a woman needs to know about feeling great, looking gorgeous and being fabulous in their most recent addition to their book collection..Anti-Ageing Beauty Bible! This book truely lives up to its name and has so many interesting facts and tips and for the over 35's ,it's a "must have" book.Available from all leading book stores and online.